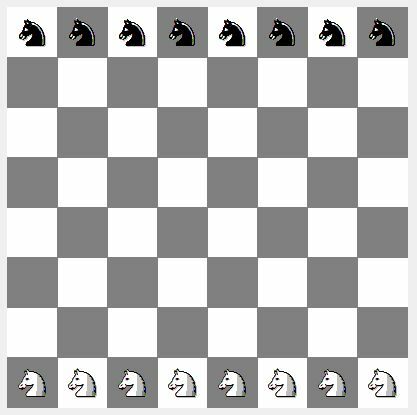 KnightGame is played with eight white and eight black knights on a chessboard. 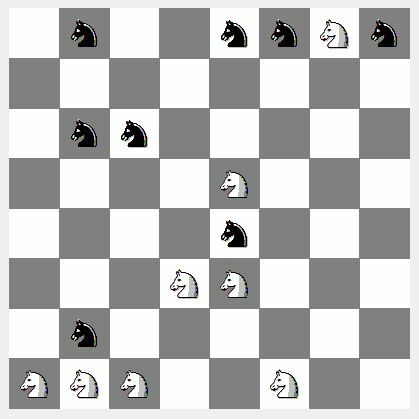 These knights can be moved as in regular chess, and possibly capture the opponent's pieces. The goal of the game is to move a knight to the last row (a8-h8 for white and a1-h1 for black). If one player has no knight left and the opponent has not yet moved any knight to the last row, then the game ends in a draw.